Developer MediaMolecule announced LittleBigPlanet 2 today, the sequel to 2008’s bestselling LittleBigPlanet, a PS3 exclusive that let users create their own levels and share them online with friends. In this sequel, the developer has added some exciting new features: Players will be able to create entire games, connecting levels of platforming, racing, and puzzles together with cutscenes and custom music. In these levels are brand new power-ups and objects, including Sackbots, programmable robots the player can customize. The game’s search function has been overhauled, making it easier than ever before to find, rate, and play levels. In addition, each user will automatically have their own webpage that can be viewed online, where they can view statistics for their work and queue up other player’s levels for later. MediaMolecule has also created a new story mode that brings back the whimsical SackBoy character through various themed stages. Best of all, LBP 2 is backward compatible with the two million levels already created by users. This is one case where you can honestly say that a game’s replay value is practically infinite. 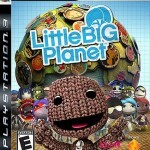 LittleBigPlanet 2 is expected to arrive later this year. Suddenly LBP2 steals any games hype thunder! Amazing!